The journey back to the city, Kota Kinabalu, took us slightly more than 2 hours due to the after-office traffic snarl. Kit and Lee dropped-off first at Hotel Shangri-la where they have a business associate waiting, while Paul and Diana planned to get down together with us at the Promenade Hotel. We had already reserved a 2-nights’ stay there. As usual, Kit was the more chattier one while Lee slept most of the way in the front passenger seat due to car sickness. Three of us just chatted away on almost anything under the sun, from climbing Mount Kinabalu to politics and back to the best seafood in Kota Kinabalu. We cracked jokes and had lots of laughs all the way. In between, we even dragged in our cab driver for the conversation, as well as Paul and Diana, although they had to struggle abit with their English. Upon reaching Hotel Shangri-la, Paul and Diana decided to part ways too as they had spotted some backpackers’ lodge nearby. We finally arrived at our hotel, totally exhausted. For the next two days, both of us, more so myself, ventured around Kota Kinabalu as if I had piles. It was so embarrassingly obvious when I had to descend any elevated places. 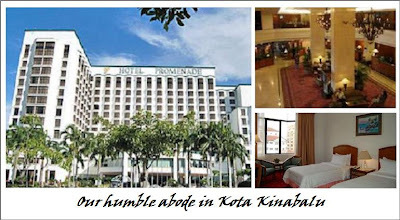 Kota Kinabalu is a city known for its fresh and cheap seafood aside from the nature attractions. 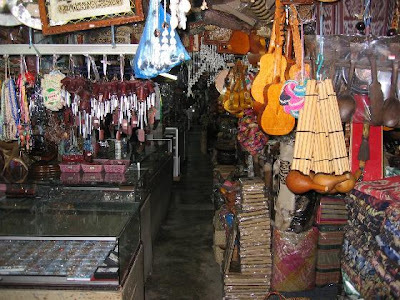 Of course, there are also the handicrafts, but me being me, no interests in such things at all. The first evening we checked out the nightlife at the popular Waterfront and ended up having dinner at The Shamrock, an Irish pub. The subsequent night, we decided to have our seafood exploration at The Ocean Seafood Village @ Api Api, just next door to our hotel. We were quite late, arriving at the restaurant only after 9.00 pm but it was still packed with tourists and local diners. We were amazed by the variety of choices displayed in the fish tanks and the humongous size of the cockles, clams, lobsters and prawns. We were so captivated by some of the odd-looking sea creatures, especially one called The Rock Fish. Then there were also these large mantis prawns kept alive individually in 500ml coke bottles. It seemed to prevent them from fighting with each other, so as to maintain their beauty. Diners are encouraged to choose directly from the display area and the waiters will provide their suggestions on the suitable cooking styles. When we first saw The Rock Fish, Ray thought it was just an aquarium decoration and we were suppose to choose the other fishes swimming inside the same tank. What a laugh we had when the waiter actually suggested that we try that aquarium deco. No doubt the fish did not taste weird nor anything special, our amazement did not stop there! It was the first time we had come across fish bones in blue! Check out the picture! Well, at end of the day, we were poorer by RM252.00, which included a bottle of Tsingtao beer, a fresh coconut, table-snacks and taxes. We had 'buttered lobster' (500gm x RM160/kg), 'chilli prawn' (RM40 per piece), steamed crabs (600gm x RM38/kg) and of course, the steamed Rock Fish (600gm x RM80/kg). No doubt the seafood were fresh, I felt it’s all hyped. You can actually get the same freshness at that kind of price here in Kuala Lumpur too. Plus! Plus ... better and friendlier service! This the end to our Mount Kinabalu Adventure … until we venture next … another destination. Ohhhhh … I’m so looking forward to return to Bali again this year-end! 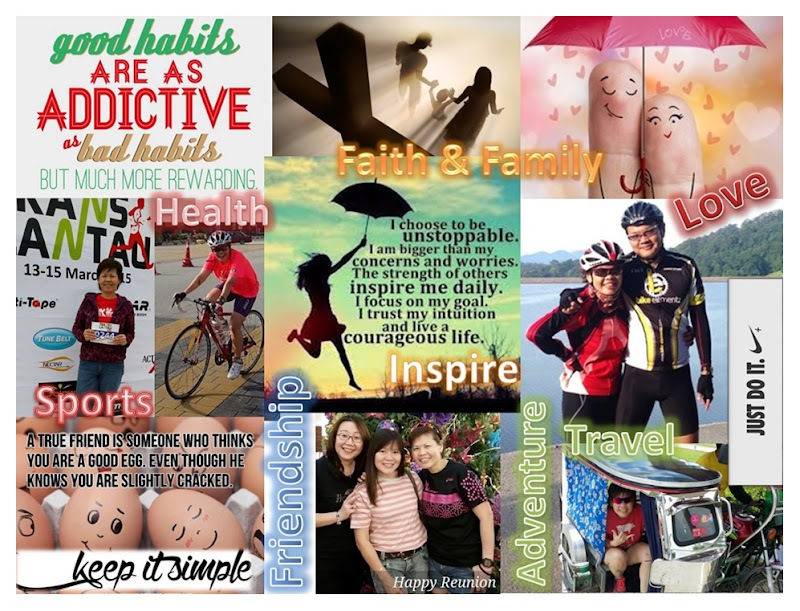 What an informative post :) thanks for sharing your adventure in Kota Kinabalu...what an adventure!!! Law of Attraction: Can We Change Our Karma?